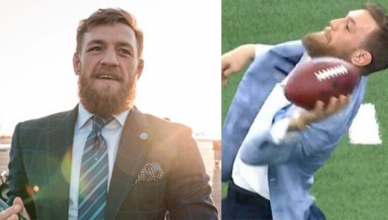 Conor McGregor (born 14 July 1988 and often incorrectly referred to as Connor McGregor, and Connor McGreggor) is an Irish professional mixed martial artist and professional boxer. 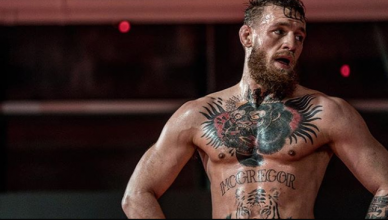 McGregor is currently signed to the Ultimate Fighting Championship (UFC) where he is the reigning UFC Lightweight Champion, and former UFC featherweight Champion. During his MMA career, McGregor has competed at 145lbs, 155lbs, and 170lbs. McGregor’s height and weight are 5’9 and 165lbs which makes him suitable to compete in multiple weight classes. McGregor is ranked 2nd on UFC’s pound for pound rankings. 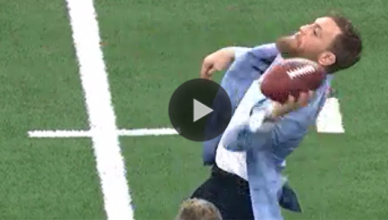 Conor is the type of star who continues to make headlines even when he’s not fighting. Most recently McGregor went viral for the MMA video of him jumping the cage at a Bellator event in Dublin and putting his hands on referee Marc Goddard. He later made headlines for his involvement in a bar fight after allegedly having a run in with some Irish gangsters. 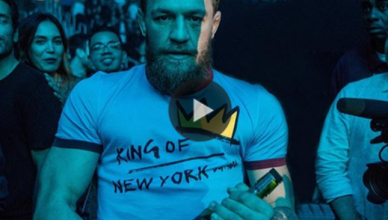 Conor McGregor Net Worth has exponentially increased over the past two years, especially following the giant PPV success of the Floyd Mayweather vs Conor McGregor boxing mega event. 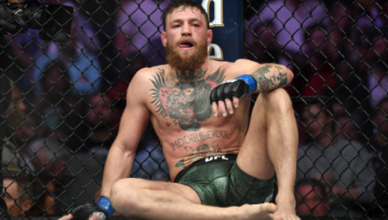 However, McGregor also earned the biggest paydays in UFC history for his two fights against Nate Diaz, and his UFC title victory over Jose Aldo. He’s also known for having the most high end wardrobes money can buy and is only seen in the finest custom suits. 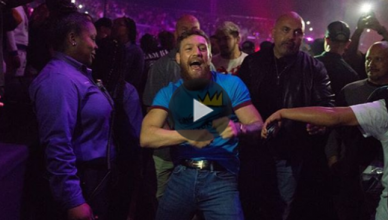 Some of McGregor’s most famous quotes have come at the expense of other top UFC fighters. 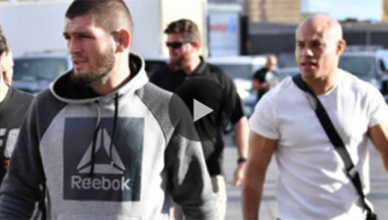 Jeremy Stephens might have the most famous line of all attached to him as a result of the “Who the fook is that guy?” line he gave during a press conference. Although, he’s been much more serious when discussing how he came up with a fighting style in martial arts. “None, but I take inspiration from everyone and everything. I’m inspired by current champions, former champions, true competitors, people dedicated to their dream, hard workers, dreamers, believers, achievers.” said McGregor when asked if he had any career inspirations. Floyd Mayweather vs Conor McGregor took place in August of 2017 and was his only fight of the entire year. No one ever knows what’s next for Conor. After cashing almost $100 million dollars for his boxing match with Floyd Mayweather, the UFC champion has been silent as to his next move. The Conor McGregor vs Floyd Mayweather superfight also broke many pay per view (PPV) records. McGregor vs Diaz has taken place on two different occasions with each fighter holding one victory. The first time was when Diaz came in on 10 days notice to pull off a massive upset over McGregor at UFC 196. Diaz vs McGregor 2 happened in August of 2016 at UFC 202. McGregor was able to earn a controversial decision win over Diaz which only left fans clamoring for a trilogy fight. McGregor made history when he defeated former UFC lightweight champion Eddie Alvarez to secure his second UFC title. Conor predicted he would knock out Alvarez very quickly and he didn’t disappoint. 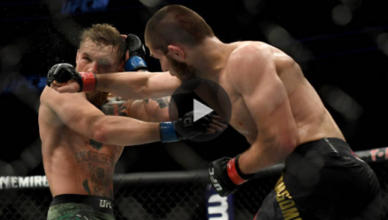 It took McGregor only a few minutes to finish off Alvarez at UFC 205 and win the lightweight title in front of a stunned crowd at Madison Square Garden in New York City. Conor McGregor record and resume in mixed martial arts will go down as one of the most impressive. He’s the first UFC fighter to win belts in two different weight classes at the same time. McGregor’s next fight is still unknown at this time. Following the Conor McGregor vs Mayweather super fight last summer (2017), the UFC lightweight champion hasn’t committed to a UFC return. McGregor is demanding a very high price tag if the promotion wants him back in the octagon. 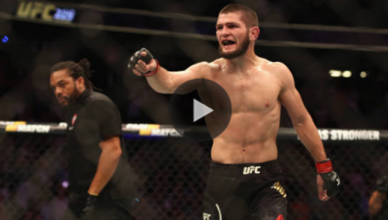 He’s also got a long list of contenders waiting in line to fight him including Khabib Nurmagomedov, Tony Ferguson, and Nate Diaz. Conor McGregor isn’t married but he’s been with his longtime girlfriend Dee Devlin for many years. In fact, she’s fully supported him and his combat sports dreams since the very beginning when they had no money and were struggling to make ends meat. McGregor and Devlin also have a son who was born in 2017.